LIMITED EDITION Deluxe LP is on 180-gram vinyl and includes digital download card. For nearly 30 years, the name Dex Romweber has been the password to a cool club. It lets the doorman size you up through the slit in the green door that leads to a world where rock and roll is still real… and real, real gone. Dex's progeny, impacted by his wild and wildly influential work in Flat Duo Jets, his Duo and solo, includes the White Stripes, the Black Keys, Ty Segall, the Kills, Man or Astroman? and dozens of other bands that have stripped down, turned up, and cut loose. It’s one of his strongest efforts—a terrific collection of original songs and covers that seems like a snapshot of his entire career, from primitive rockabilly to haunting instrumentals to vintage-sounding surf to gorgeous ballads. Carrboro would fit well on rotation at any punk bar, country saloon or even formal event, and much like everything he’s been a part of (Flat Duo Jets), there is exactly zero filler here. There’s a folk-inspired sweetness to the whole thing, a nod to a vibrant, influential career, and a timelessness that confirms what fans have always known: Romweber will be an indie icon for years to come. So glad to see that this unsung legend (yes, legend) is still out there fighting the good fight… On Carrboro he shows off a bit more of his soulful side, especially in the vocal department, and guess what, the dude’s got some pipes. Anachronistic twangfest of ramshackle rockabilly, sax-blasted noir, reverb-sprung garage and more. Make yourself at home. Carrboro is modern rockabilly at its finest, in all its twang-embracing, hip-shaking glory, with a little surf guitar added in for good measure. 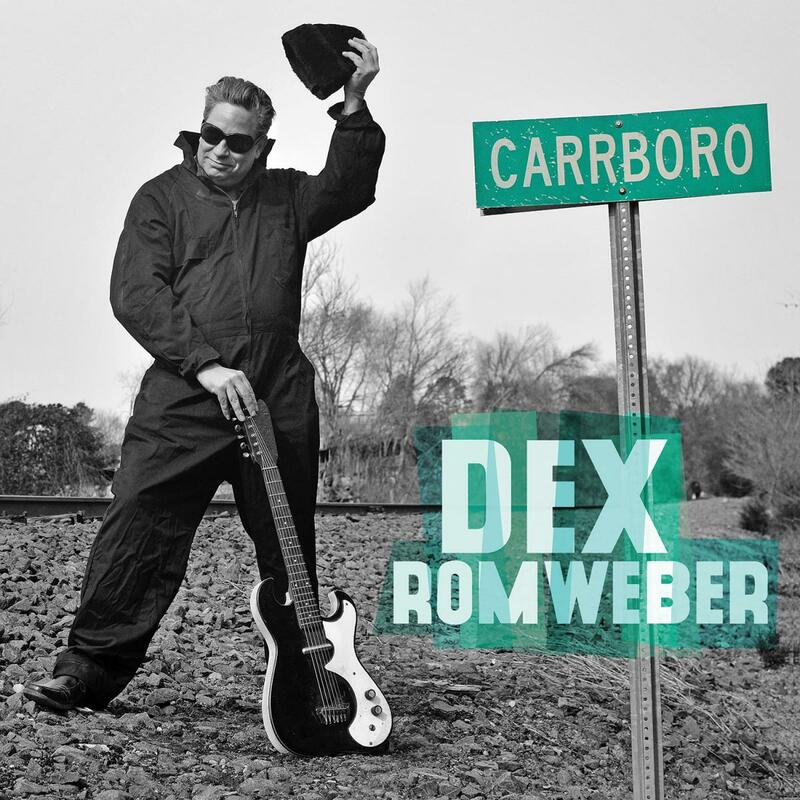 Though he’s known for rockabilly workouts and seat-of-his-pants guitar playing, Romweber demonstrates on Carrboro that he has wide-ranging taste, and a matching ability to make almost any song into a perfect fit. Between his deep, baritone croon and predilection for dimly-lit rockabilly, spaghetti-western surf and back-alley, rain-drenched tones, it’s only a matter of time until some enterprising film director latches on to Romweber’s stylized music for a soundtrack. And they can start with any of the 13 tracks on this album. Dex Romweber has been creating music for so long- and so effortlessly- that one can forget just how good he really is.